Bug spray can be a lifesaver if you're spending a lot of time outdoors camping, hiking or just enjoying the sunshine during the summer months when insects are at their peak. But, it's very important that you dispose of empty containers, used wipes or other forms of insect repellent safely to avoid personal or environmental injury. Depending on the container that the bug spray is sold in, you can dispose of it in one of three different ways. Do not puncture or incinerate aerosolized bug spray cans. Throw empty cans of bug spray, bug spray wipes or solid bug spray packaging into the trash can to be taken to the landfill. The cans of bug spray should not be burned or heated in any way. 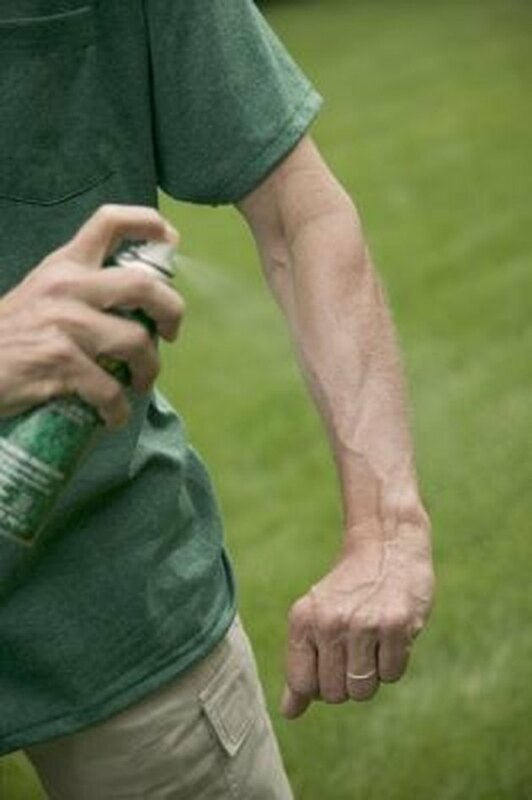 Take partially filled or full cans of bug spray to your local community's collection day. These should not be taken to the landfill or incinerated. Contact your local county extension office to find out when your area will be having a community collection day. Pour nonaerosol bug spray, such as spray that is not packaged in a metal aerosol can, into a jug of kitty litter. Replace the lid on the jug of kitty litter and dispose of this in your regular trash. This can be taken to the landfill because the spray has been solidified in the kitty litter. Deborah Walker has been writing since 2009. Her articles have appeared on Webupon, Writinghood, Gomestic and The Real Owner. She holds four New Hampshire teaching certifications in general special education, emotional, intellectual and orthopedic disabilities. In 1996 she earned a Master of Arts in special education from the University of Utah.